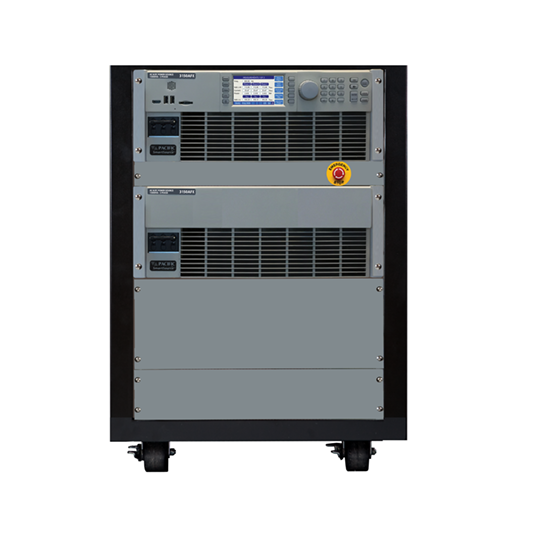 The AMX Series is a family of High Performance Linear AC power sources covering the power range from 500VA to 6kVA with, single chassis models, and from 9kVA up to 30kVA with multi chassis systems. The product line offers both single and three phase models. 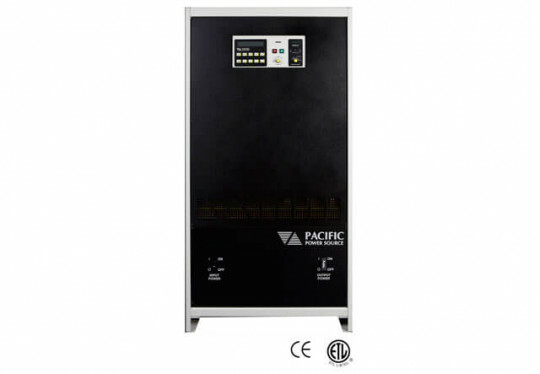 Units are conservatively designed and output power ratings are based on the most severe combination of input line, output voltage, power factor, and temperature. This approach to product design allows the AMX Series to excel when delivering the high peak load currents demanded in the AC test environment. Great emphasis has been placed on low acoustic noise, ease of installation, and maximum power per cubic inch of rack space. Control and operating features provide a high degree of application versatility and ease of use for the test engineer. 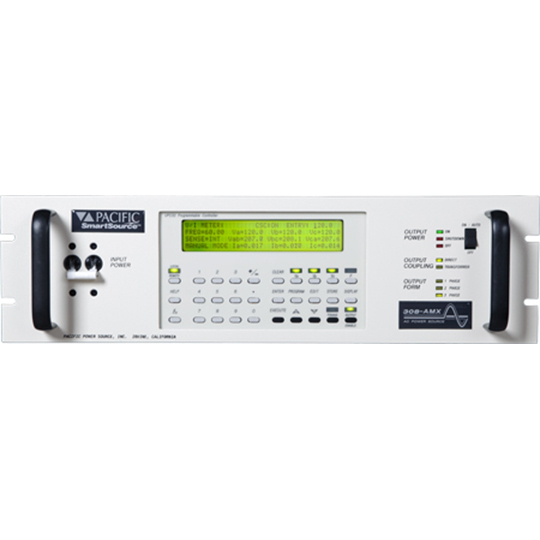 Applications range from simple, manually controlled frequency conversion to harmonic testing and sophisticated bus programmable transient simulation. An exceptionally broad bandwidth (50kHz small signal) combined with peak/RMS current of 4-6:1 give the AMX Series the ability to produce high quality, low distortion output power into the most dynamic loads. 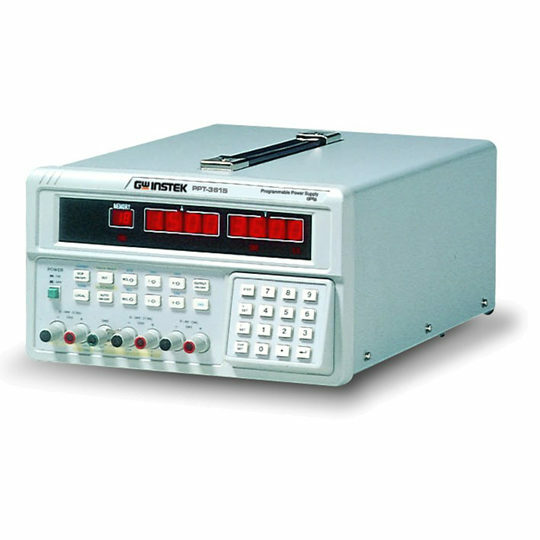 The AMX Series Power Source is equipped with a powerful microcontroller to create a fully integrated test system. 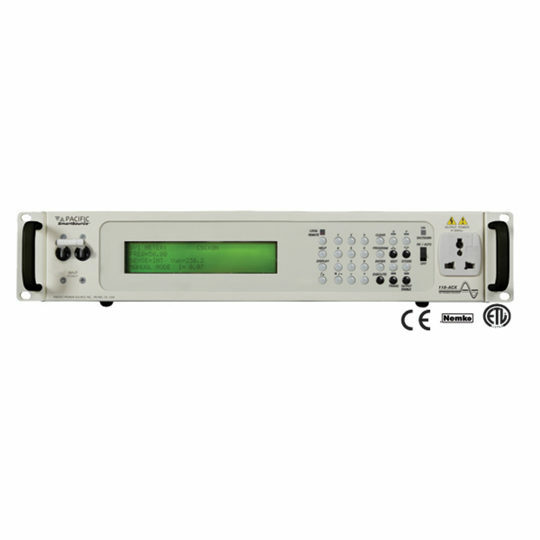 It supplies a variety of power conditions to the device under test and meters/analyzes all output performance parameters. 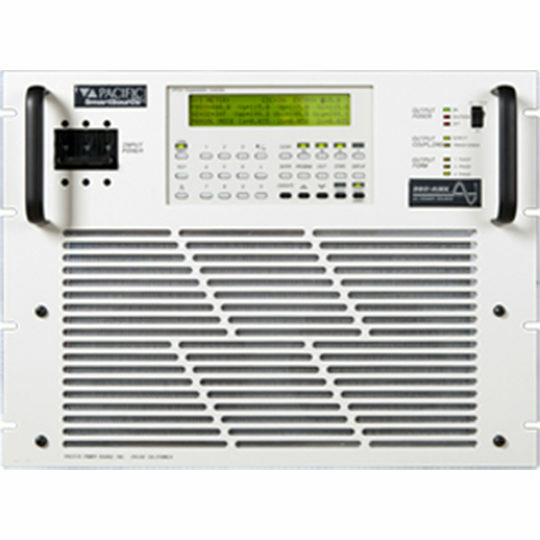 The AMX Series is an excellent source of stable AC voltage over the frequency range of 15 to 1,200 Hz. The output frequency is quartz-crystal stabilized. 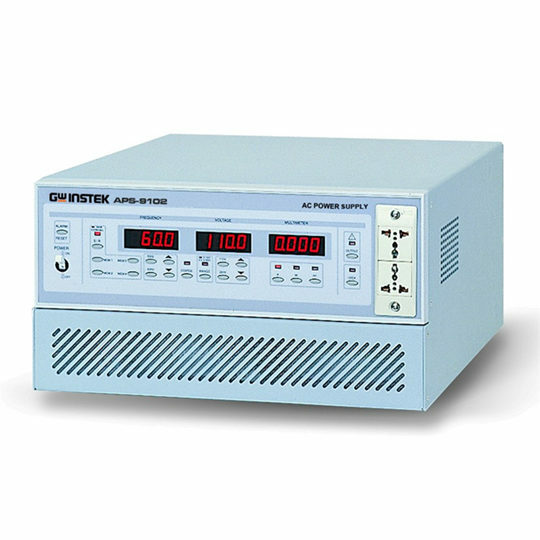 Output voltages up to 600 VAC are provided. With the ability to provide singe and three-phase outputs, the AMX Series is the perfect choice to provide 1 Phase to 3 Phase or 3 Phase to 1 Phase conversion.